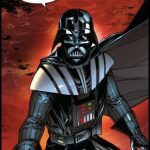 Darth Vader is arguably the greatest villain of all time. The former Jedi made his presence felt in the original Star Wars trilogy, becoming known for his power and ruthlessness. 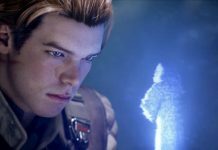 The prequels build on the story of Anakin Skywalker, the fallen Jedi, and his path to the Dark Side of the Force. He lost Ahsoka, his mother died, and he ended up losing Padmé. 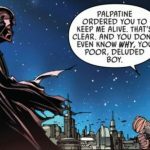 But some of Darth Vader’s best moments can be found outside of the movies, and especially in the comic book series written by Charles Soule. 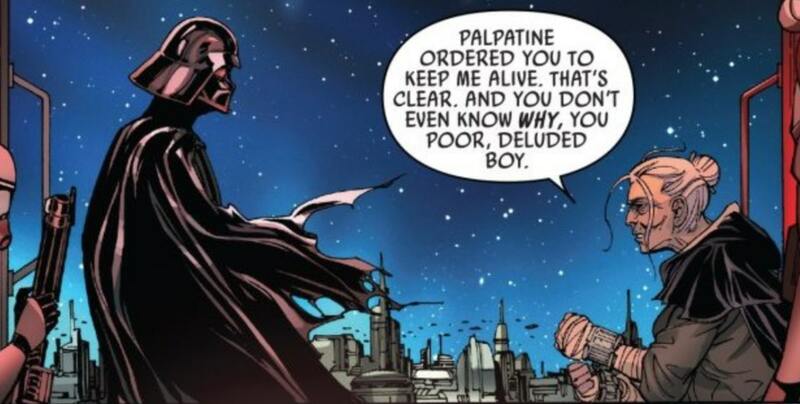 It follows the final Darth Vader scene in The Revenge of the Sith, and reveals that the Sith Lord had some incredible moments before A New Hope. 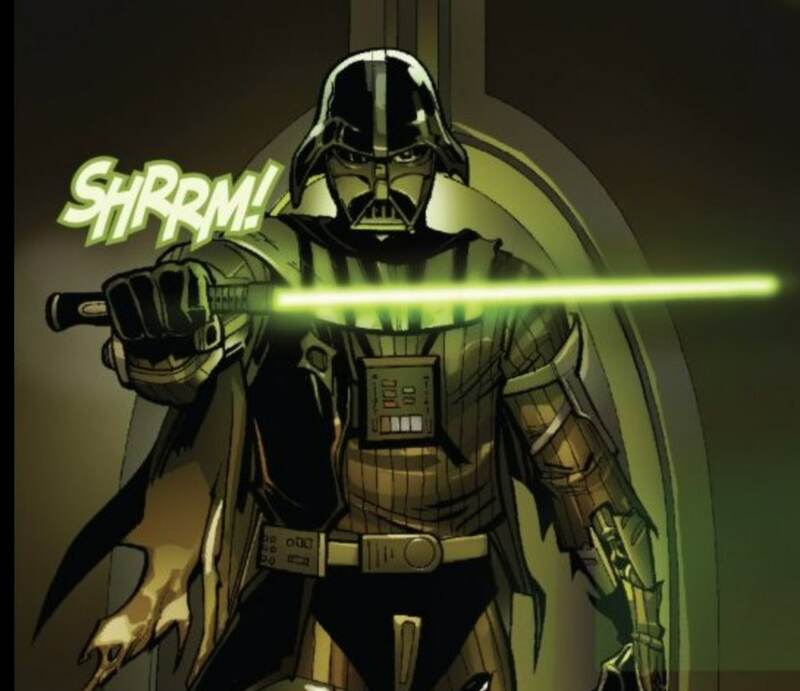 Here are our five best moments from Charles Soule’s Darth Vader comic. After the iconic duel between Obi-Wan and Darth Vader in Revenge of the Sith, Anakin’s former Master takes Vader’s lightsaber. The Emperor’s first task for his new apprentice is to get a lightsaber. But that’s not such a simple task. After Order 66 most the Jedi have been killed, with a few remaining in hiding. Plus all their lightsabers have been destroyed. Yet Vader managed to track down a hidden Jedi Master, Master Infil’a, who took the Brash Vow to live alone inside the Force until he found his true path. In their first duel, Infil’a gets the upper hand, but Darth Vader eventually wins the second fight when he threatens to destroy the Am’balaar City dam. This distracted the Jedi Master for long enough for Vader to strike, who then floods the city. It was an awesome show of power and lack of mercy. 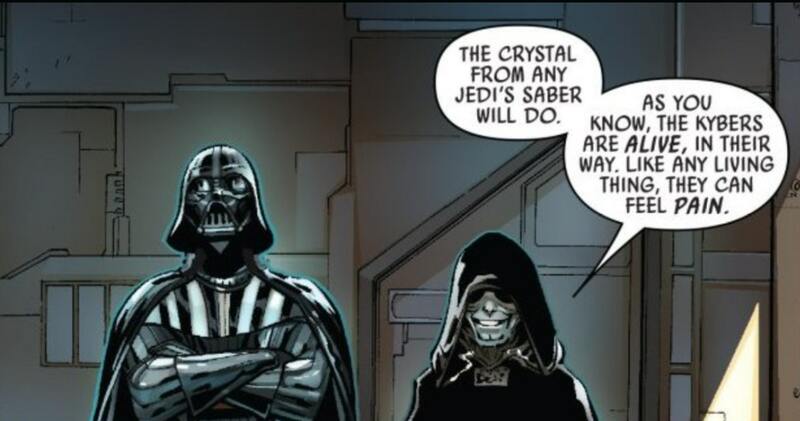 Part of the process to make Master Infil’a’s lightsaber Vader’s own was to bleed it. This meant he had to injure the kyber crystal within the weapon to make it bleed and turn red. But this cannot be done through a physical attack: the crystal must be manipulated through the Force. The kyber crystal wasn’t easy to manipulate though. It made Darth Vader have visions. Visions of Obi-Wan, his mother, and even Padmé. But the most shocking vision was one where he saw himself killing The Emperor. It was a great moment to see, one that many fans had already imagined taking place during Vader’s prime. 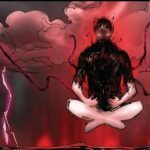 As if Darth Vader wasn’t already menacing enough, illustrator Giuseppe Camuncoli shows just how scary the Sith Lord can be when meditating too. 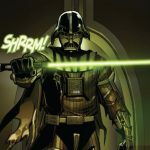 The images are shocking, vivid, and give a great insight into Darth Vader’s mind. 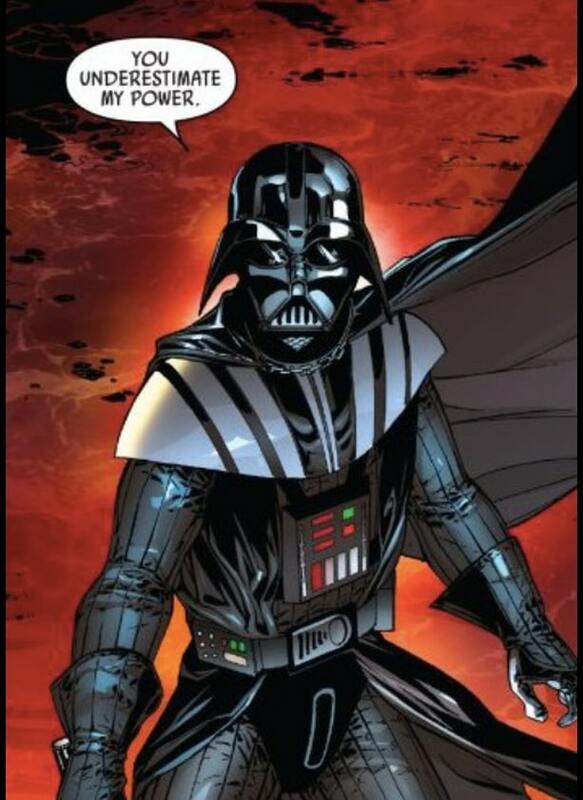 The Emperor’s second request of Darth Vader was to find a list of remaining Jedi. This led Vader to Jocasta Nu, the Jedi librarian, who wanted to protect the next generation of the Jedi. 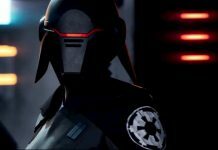 But when Vader found Nu and the list, she was able to get Vader to doubt his purpose in The Emperor’s plan. Jocasta Nu questioned why The Emperor wanted the list, and persuaded Vader that he was going to be replaced by one of the Force sensitive children. 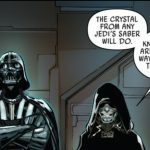 This made Vader destroy the list (which some say is why Rey was never discovered by the Empire) and lie to his Master. A sign of defiance towards his Master which is rarely seen from Vader.